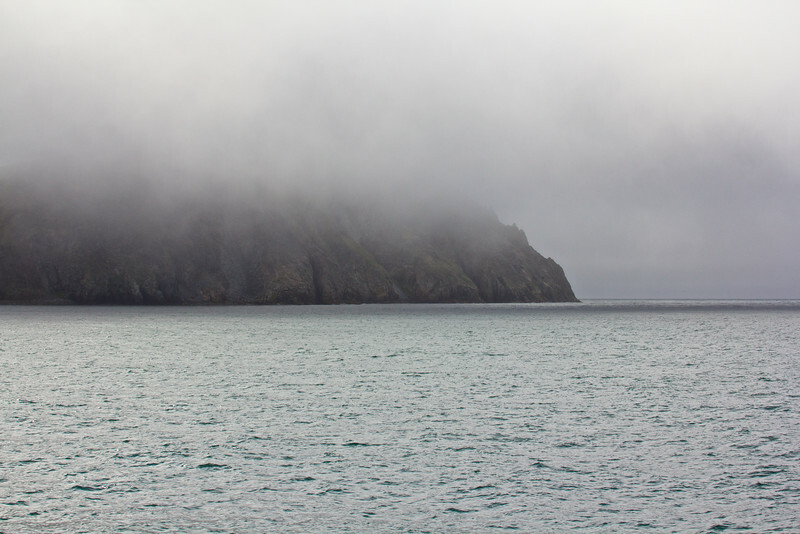 We woke up as we crossed the Gulf of Anadyr this morning after a good rest. During the morning we attended briefings in the Lecture Room including a general introduction to our itinerary, safety on board the Spirit of Enderby and the use of the Zodiacs. Just after lunch we dropped our five Zodiacs to take a cruise along the western side of Preobrazheniya Bay. Despite the swell we were able to get good views of numerous birds such as Kittiwakes, four species of guillemots and two species of auklets. Then we headed east again to calm waters where we found Harlequin ducks, Sandhill Cranes and Common Eiders. Next we made our first landing for the voyage and spent an hour ashore making the most of the opportunity to stretch the legs and see Arctic Ground Squirrels and Passerines.